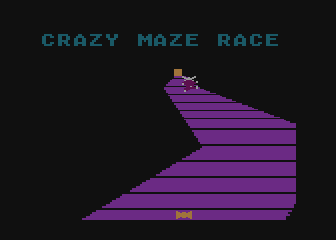 Crazy Maze Race is a previously unknown children’s title from Roklan that came out of nowhere. Found on some old developers disks, this simple game requires the player to follow the white rabbit through a series of tunnels and reach Wonderland before time expires. 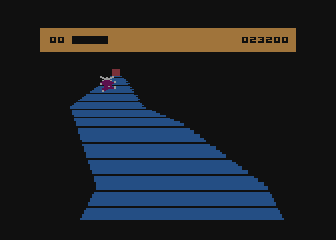 Each level starts out with the player in the role of Alice (represented by a bow at the bottom of the screen) furiously chasing the white rabbit down an ever changing tunnel. The goal of these screens to catch the rabbit as quickly as possible. However the rabbit is fast and it will usually take a few tunnels before the player actually can catch up. The controls on the maze screen are a little wonky. The trick is to watch only the very bottom of the screen and move in the direction on the floor as it scrolls off the edge. Usually the player must push diagonally to keep the tunnel moving, but sometimes a simple left or right will suffice. The better the player manages to stay in the tunnel, the quicker they will catch up to the white rabbit. The game will make an annoying buzz when you're not on the right course. 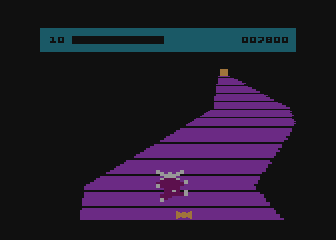 Assuming they haven't caught the rabbit, the player will eventually reach the end of the tunnel and be presented with a series of three doors. The goal here is pick the door that is different from the other two. The patterns for these doors start out easy, but soon become rather challenging. The faster the player picks the correct door, the more ground they make up on the rabbit. The player may have to go through several of these doors before they can catch the rabbit. After the player successfully catches the rabbit, they will be taken to the next level. 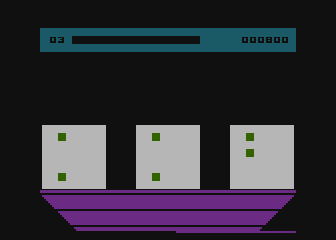 Each level features a different color scheme and a more challenging tunnel to navigate through. 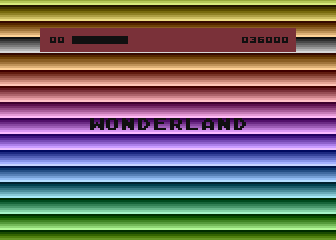 After catching the rabbit three times the player will be taken to Wonderland. There's actually nothing to do on this screen but watch the trippy rainbow effect and wonder what the heck this game is all about. It is unknown if there was actually something more planned for this screen or if this was it. Although Crazy Maze Race was designed with children in mind, it's challenging enough that adults may even have some difficulty. The music that continually plays during the course of the game is top notch and rather catchy. It is unknown if any further work was done on this title, but given the late development date probably not. This late date also prevented Crazy Maze Race from being released as the market for games (especially children’s games) was crumbling fast.